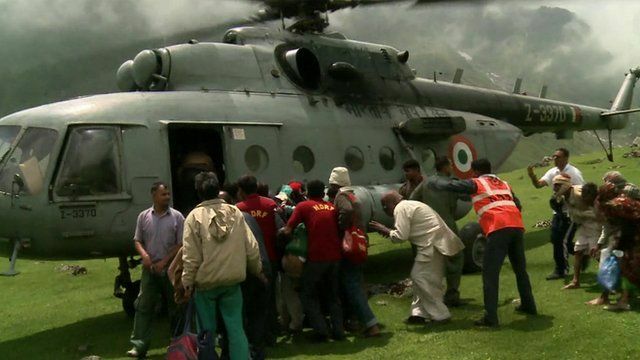 On board flood rescue helicopter Jump to media player The death toll from flooding and landslides following heavy monsoon rains in the northern Indian state of Uttarakhand has passed 500. 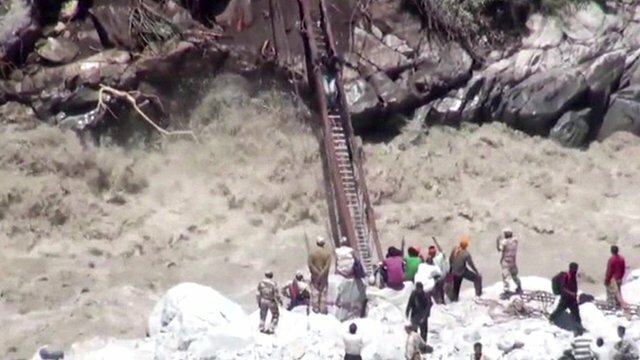 Dramatic rescues amid India floods Jump to media player A massive rescue operation is under way to reach survivors in the flood-hit Indian state of Uttarakhand, where it is now thought at least 500 people have died. 'We've received no food or tents' Jump to media player Flooding in India is continuing to disrupt daily life on a massive scale. India facing tough flood clear-up Jump to media player At least 130 people are understood to have died in severe flooding in India's northern states. India flooding death toll rises Jump to media player The death toll from flooding and landslides triggered by heavy rain in northern India has risen to 70, media reports say. 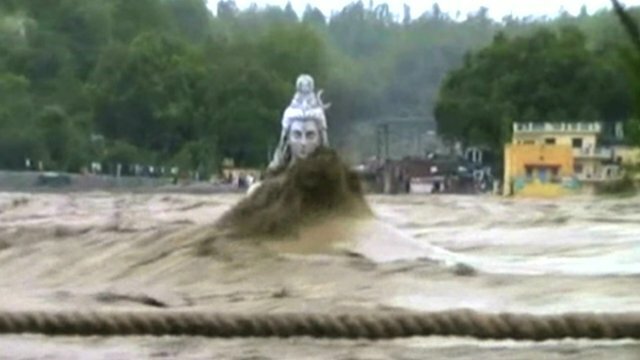 India floods: At least 19 dead Jump to media player Floods and landslides have killed at least 19 people and destroyed buildings after heavy rain in North India. 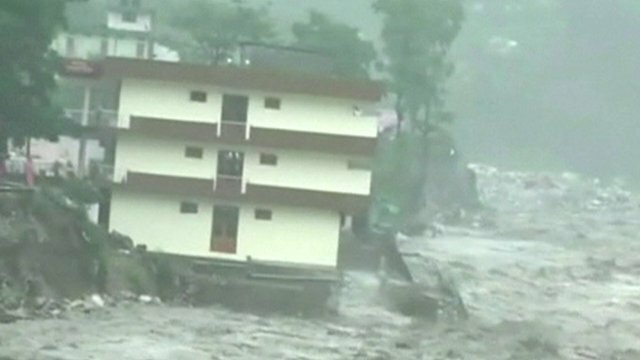 The death toll from flooding and landslides following heavy monsoon rains in the northern Indian state of Uttarakhand has passed 500. On Friday, the charity Action Aid said 5,000 people are missing in the area. Many of those stranded in the mountainous region are Hindu pilgrims visiting local shrines. Nitin Srivastava has been in one of the helicopters trying to airlift stranded people to safety.